Since the beginning of the 2015 refugee crisis, hundreds of thousands of people fled across the Mediterranean Sea to escape war and persecution. Some of them would choose to make the crossing from Turkey to one of the Greek islands like Lesbos, a crossing that would prove to be an even deadlier one than many other routes, as thousands of lives were lost. After arriving on the European shores life would probably turn for the better, or would they? In March 2016 Europe made a deal with Turkey and the borders were closed, resulting in thousands of people getting stuck in Greece. With nowhere to go, they would have to wait for over a year before European authorities decided on their future. Will they eventually be allowed to travel further into Europe and get asylum, or will they be sent back? 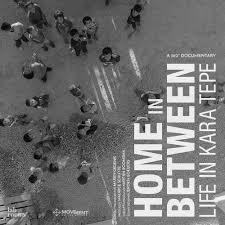 ‘Home in Between’ provides an insight into the daily life in Kara Tepe, a camp that was set up by the municipality of Lesvos. Organizations like Movement On the Ground do their best to make the camp an inspiring, sustainable and worthy place to live in. They realize this in many ways, for example by bringing light into the camp by installing solar stations, and setting up a football program for the children. They believe in the knowledge and power of the residents and involve them in everything they do. Refugees and volunteers are working side-by-side, therefore creating a close community. But how do people really feel when their lives are turned upside down and put on hold? And how long can they keep hope alive?